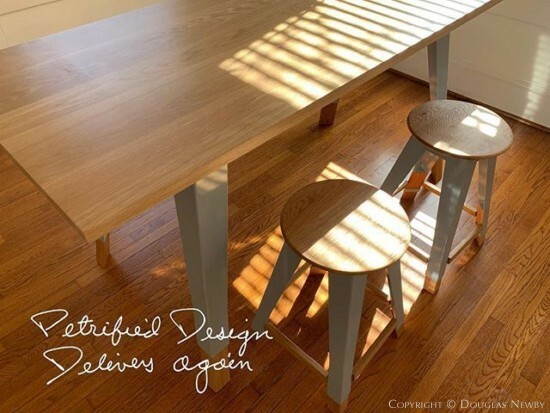 Most of my Instagram musings and captions are written on the pecan, walnut, or white oak tables and chairs designed and crafted by Tyson Pendergrass of Petrified Design. His simple designs have an elegance that inspires thought rather than distract with too much or too little comfort. The single origin espresso is very good at HoundsTooth, but I think a major reason for the success of the coffee is the petrified tables and chairs of various sizes and heights made by Petrified Design. This is where I was introduced to this studio’s work and purchased my own tables. Tyson Pendergrass is a man of the people and a man of nature.